Fraser has been a professional musician and educator for over a decade, and currently works for Starcatchers as Creative Kin Coordinator as well as delivering training sessions as part of the Creative Skills Programme. Having created multiple rhythm based projects for schools around Scotland, he believes creativity is an innate quality found in everyone. It does not recognise the social divide or adhere to stereotypes. Creativity can be used to explore who we are & as a platform to stamp our own beauty in the world. This training will explore open ended and playful approaches with very young children, sharing techniques and approaches from his own practice with a specific focus on rhythm and literacy. When: Saturday 23rd February 2019. 10am - 3.30pm. Cost: £30. Free to staff involved in our Music Matters nursery project and Lit Up With Arts P1 project. Hot drinks, great cakes and fresh fruit included. Please email monica@artsplay.org.uk to book your place, detailing your name, nursery/school/place of work. LIMITED PLACES AVAILABLE - BOOK EARLY. Come along for a fun, educational and inspiring day. DIRECTIONS TO THE VENUE: Anam Cara is at the top of Leachkin Brae on the West side on Inverness just up from Craig Phadrig Forest. Post code is IV3 8PN for sat-nav devices. A9: Follow the signs for Dingwall / Beauly and the A862. Cross the Caledonian Canal, passing through the first set of lights and turning left at the second onto King Brude Road. At the next traffic lights turn right into Leachkin Road. Go straight ahead at the first small roundabout and then turn right where the road makes a sharp bend to the left. Go uphill (Leachkin Brae) one mile to the end of the road. At the top of the hill, leave the tarred road and follow the track for 25 metres through main gate & down to the main car ppark. A82: Coming from Fort William / Fort Augustus turn left on to General Booth Road (signposted Dingwall / Beauly). At the traffic lights turn left into Leachkin Road. Go straight ahead at the first small roundabout and then turn right where the road makes a sharp bend to the left. At the top of the hill, leave the tarred road and follow the track for 25 metres through main gate and down to the main car park.. 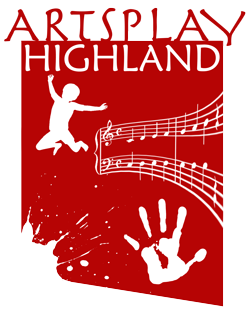 Welcome to the home of Artsplay Highland. 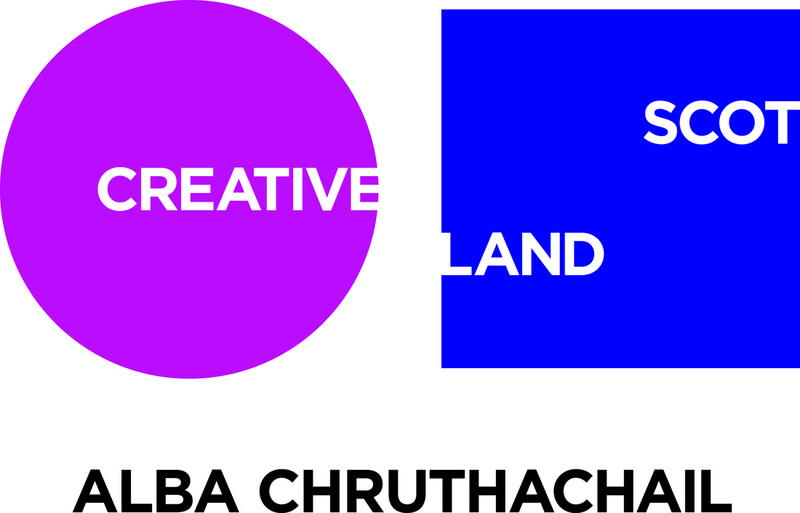 We are an arts organisation and charity based in the Highlands of Scotland. We deliver arts workshops for children, their carers and teachers. Our main purpose as an organisation is for everyone involved to have fun while learning through being creative with music and the arts. Seo an làrach-lìn againn far am faigh thu a-mach na cur-seachadan anns a bheil sinn an sàs agus mu na pròiseactan ùra a bhios sinn a chuir air dòigh! 'S e ar prìomh amas gum bi sinn ag ionnsachadh tro dhòighean spòrsail tarraingeach a' gabhail a-steach luchd-ealain, luchd-cùram, luchd-teagaisg agus aig cridhe gnothaichean clann is daoine-òga! "We made our own story quilt, just like Lizzie's"
We make a great band.